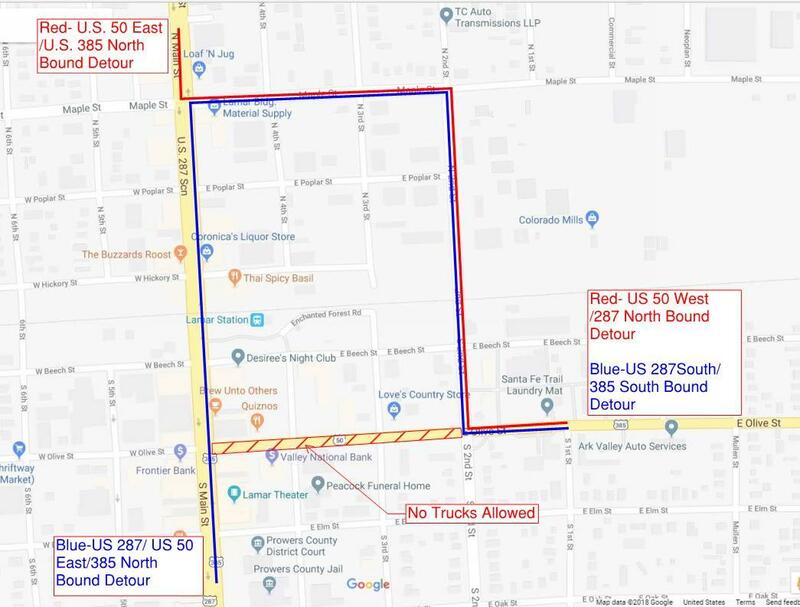 The detour for commercial vehicles using Highway 50/385 - Olive Street inside the city limits - will use North 2ndStreet and Maple Street. Olive Street is being closed to truck traffic from 2ndstreet to Main Street. 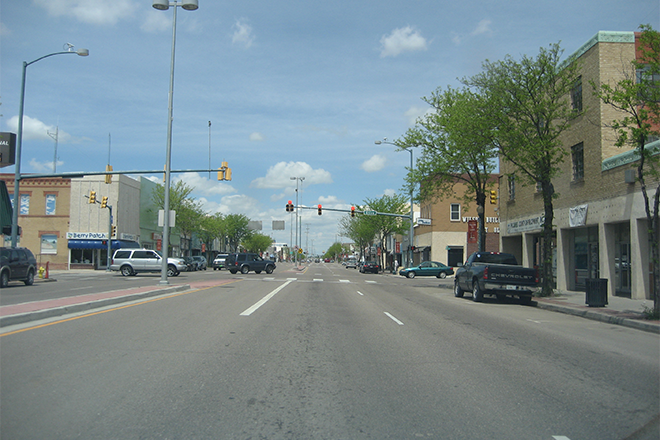 Highway 287 follows Main Street through Lamar and is being re-built between Oak and Beech Streets. During construction, two-way single-lane traffic on the east side of the street will replace the usual double-lane flow through the area. The narrow street makes it impossible for trucks to turn at Main and Olive. The Colorado Department of Transportation says trucks attempting to turning at Olive Street may receive a ticket, and drivers will be held responsible for any damages.